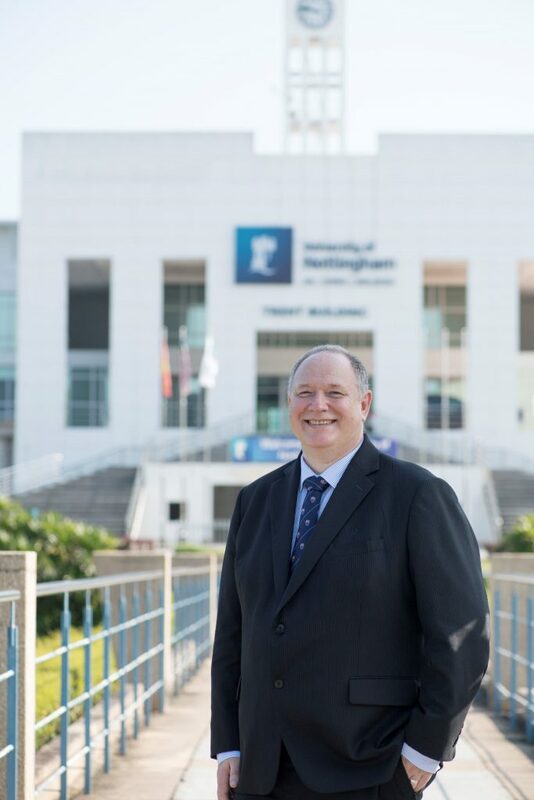 In this blog, our University’s Provost and CEO, Professor Graham Kendall recounts his experience of coping with Dengue. Over the next few days, I spent more and more time in bed, so much so that I was sleeping for about 20 hours a day. Occasionally I would force myself out of bed, telling myself that this was ridiculous and to do some work. I sat at the desk for a few minutes, determined to do some emails but I quickly returned to bed “just to lie down for a few minutes” and it was not long before I was fast asleep again. During those few days, I totally lost my appetite and ate nothing. I did not even feel like drinking but forced myself to drink as much water as I could manage, as this felt the right thing to do. This may have saved my life. It slowly became apparent that this was certainly not ‘man flu’, and it was probably not proper flu. It was Wendy, my wife, who first suggested that I had dengue. 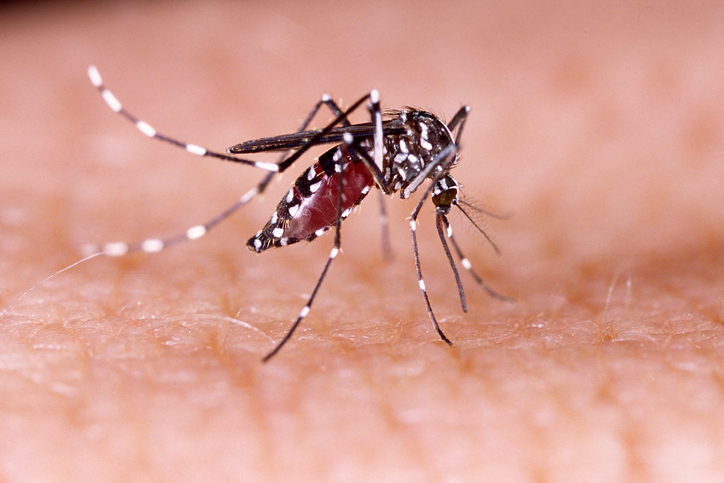 This is a mosquito-borne, tropical disease, and the symptoms take 3-14 days to appear after infection. I am based at the University’s campus in Malaysia, which was in the midst of a dengue epidemic in July 2014. The area I lived in Kuala Lumpur was particularly hard hit. This was attributed to a construction site next to our condo block which had standing water, which enables mosquitos to breed. Indeed, once it was confirmed that I had dengue, as I walked out of the hospital, the Ministry of Health phoned me as they needed to confirm that I had dengue, and wanted to know where I lived. At last, I was able to leave Beijing. I had not participated much in the conference and I was glad to get to the airport so that I could get home. It was still not confirmed that I had dengue at this time, but there was definitely something seriously wrong as I fainted and collapsed at the airport whilst queuing at check-in. Fortunately, I had a colleague with me who looked after me and got me on the plane. When I arrived back in Kuala Lumpur, I went straight to a hospital. After several blood tests, it was confirmed that I had dengue. Your normal platelet count is around 450 but dengue depletes this. When you have been diagnosed, you get a blood test every day to monitor your platelet count. Once it drops below 100, you are admitted to hospital as you require an intravenous drip and potentially oxygen therapy. My blood count quickly fell below 100 and I was admitted. My platelet count went as low as 21, which was worrying for anybody who understood what this meant (I did not, fortunately) as it means that you are in serious danger of haemorrhaging. During the time I had dengue, I was lucky in that I just felt very tired, slept a lot and had a very high temperature. I did not have a rash, headache or joint pains (it is sometimes known as breaking bones disease). 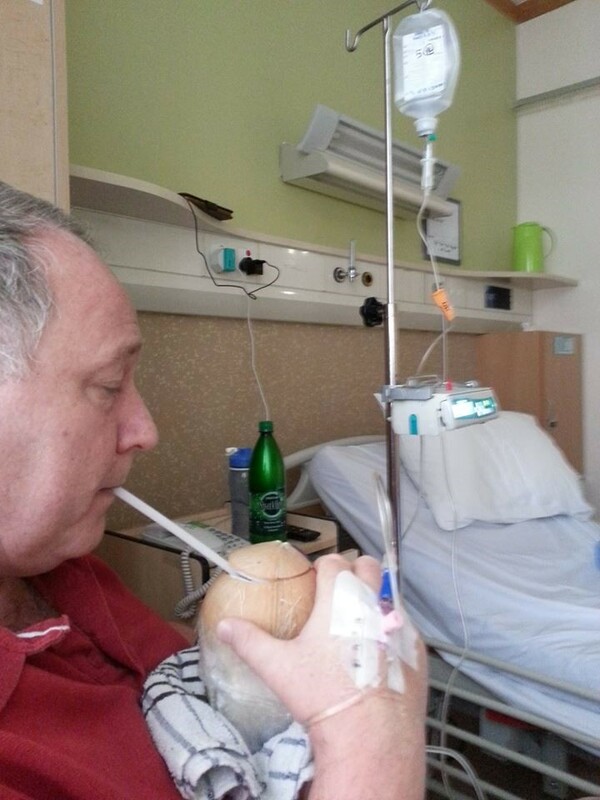 There is no cure for dengue to date, although there are a lot of traditional ancient remedies, such as drinking papaya leaf juice, coconut juice and crab soup, and you can see that friends that visited me brought me a young coconut. These are probably as much about keeping you hydrated as having any medicinal benefits, although recent research is starting to investigate some of these claims and a partially effective vaccine was made available in 2016. If you do not have an effective vaccine, you just have to stay on a drip until your platelets level starts to rise. Once they do, you can leave the hospital (even if they are less than 100) but you must rest. It is recommended that you rest for three months and refrain from alcohol, as dengue also affects the liver. I did rest for a couple of weeks, not that you have a choice as you feel very lethargic but recovery is quick after that. You might be surprised to know that I did abstain from alcohol for three months. I got a lot of support when doing this as everybody had a ‘nominated driver’ for our many nights out. Wendy and Graham KendallNow that I have had dengue, I am probably immune to the strain that infected me but there are another four strains (five in total) and if I get bitten by a mosquito carrying another strain then I could get dengue again. In fact, another University of Nottingham colleague has had dengue twice and he can confirm that the second time is even worse than the first time. I now spray myself with mosquito repellent whenever I go out and get very concerned when I see standing water. Finally, I have to thank the University’s Human Resources team. They offered to repatriate me back to the UK. That was attractive, as it probably meant a nice flight back to the UK, without having to endure a drip, which is frustrating when you have to have it in for 24/7. What was not so attractive was being in a UK hospital with a tropical disease. I am sure that a hospital in Malaysia is much better suited to dealing with dengue. I declined HR’s kind offer. 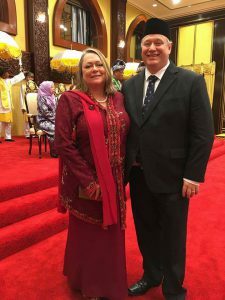 I also have to say a huge thank you to my wife, Wendy, who looked after me very well (even bringing food every day, as hospital food in Malaysia is no better than hospital food in the UK). It made having a very serious illness much more bearable. Scientists at the University of Nottingham Malaysia are currently working on a research project to turn papaya leaf juice into a cure for dengue fever. The full story is available here.